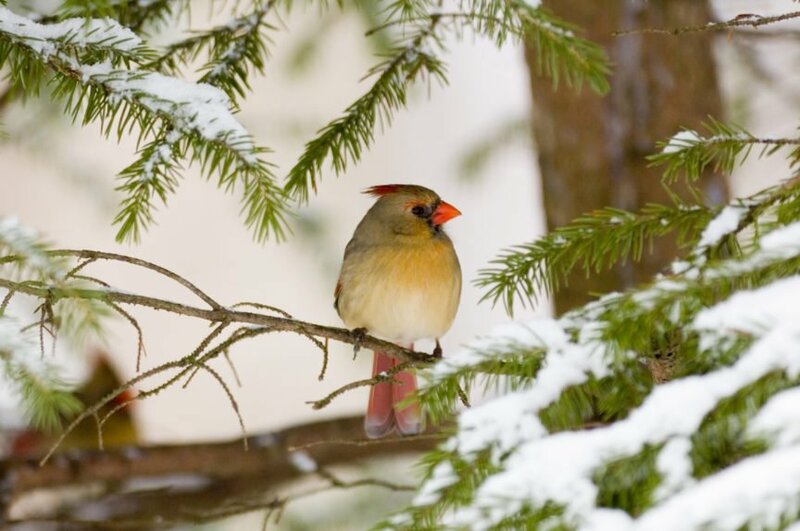 Winter is tough for birds. They have to scavenge for food, water and the basic necessity of shelter. Quite remarkable when one has to think about what they endure during the cold season. In my backyard studio, I try to have help them out as best I can. I have 7 feeders with various seeds and two heated bird baths keeping the vital water accessible to them in the winter months. Recently, for a period of about a month or so, they were not coming to my feeders at all which, in the winter is unusual. Most times, given the cold, the bird bath and feeders will see flocks of birds ascending to feed and drink. We just had a first snowfall of the season, which is odd as by January we usually see 10+ inches or more on the ground. I scan the feeders and the trees each day look for photo opportunities and yesterday, I saw it. A white-breasted nuthatch hopping up and down tree five sizing up the feeder. I rushed to get behind the Nikon D5 and the 200-400 I had on my RRS TVD 45 Versa Series tripod with Wimberly head. It was snowing so to capture the snow I needed a slower shutter speed of about 1/50 second. 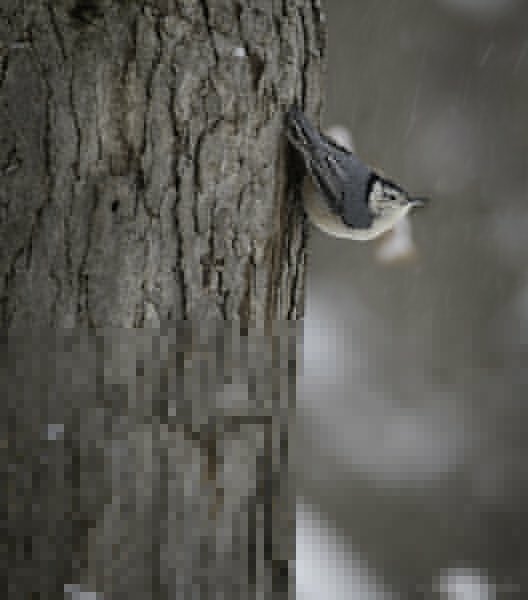 I let the motor drive rip and captured about 60 or 70 frames before the fog of the snow obscured the nuthatch. He only posed for a few minutes but it was good the best few minutes I had in a while. Shortly thereafter, I noticed the feeders getting more traffic and told the Mrs. they have returned!